Congratulations to Carol H. in Texas for winning last week's New Release Spotlight giveaway! Carol has selected The Cold Is In Her Bones from last week's list of new releases as her prize. This week is a big one for new releases, with most titles receiving at least one starred professional review. If you subscribe to Junior Library Guild, you'll find many of this week's books on upcoming JLG shipments. Be sure to double-check your JLG shipments so you don't accidentally double-order. I've included JLG information in the "Stars and Awards" section for each book, but as the JLG website isn't so easy to search, it is entirely possible I missed a title or two. NOTE: Titles start with YA and go down in age to picture books at the end. Scroll to the bottom for sequels and this week's new release giveaway. Titles highlighted in purple are those that received two or more starred professional reviews. I'm not a fan of the cover (I thought this would be a low-budget hi-lo), but the story sounds interesting and unique. Great reviews, too! This is exactly the kind of book I love reading, so I can think of tons of readalikes. When a collapsing U.S. government abandoned an Alaska ravaged by earthquakes and wildfires, Travis's family chose not to evacuate. Too late, they realized their mistake.Now Travis and his younger sister Jess must cross hundreds of miles to head south, in search of what remains of civilization. The wilderness they're crossing is filled with ravenous animals and strangers competing for dwindling resources. April Henry's mysteries are go-to recommendations for mystery readers in my MS/HS library. For seventeen-year-old Adele Vanderarde, the dead aren't really dead. She can see them and even talk to them. When Adele realizes her ex-friend Tori is really a murder victim, she takes it upon herself to help Tori find her killer--before the killer finds Adele--or before Adele is charged with the murder. Master mystery-writer April Henry weaves another edge-of-your-seat murder mystery--this time with a chilling paranormal twist. Ooh, this looks like fun! Teenage socialite Margo Manning leads a dangerous double life. By day, she dodges the paparazzi while soaking up California sunshine. By night, however, she dodges security cameras and armed guards, pulling off high-stakes cat burglaries with a team of flamboyant young men. In and out of disguise, she's in all the headlines. But then Margo's personal life takes a sudden, dark turn, and a job to end all jobs lands her crew in deadly peril. Overnight, everything she's ever counted on is put at risk. Backs against the wall, the resourceful thieves must draw on their special skills to survive. But can one rebel heiress and four kickboxing drag queens withstand the slings and arrows of truly outrageous fortune? Annie Marck, aka Cleveland, is not your typical new girl struggling to find her place in her new home, Small Town, Indiana. Instead, Cleveland enters the scene on the arm of the most popular boy in town, super jock, genius, and prankster Henry. No, she's not his girlfriend, but yes maybe she'd like to be. Henry is on his sixth girlfriend in two years, and his most recent ex is dead, killed in a mysterious prom explosion. Everyone has their theories, but Cleves is determined to find out what really happened before it's too late and history repeats itself. This is a story about America during and after Reconstruction, one of history's most pivotal and misunderstood chapters. In a stirring account of emancipation, the struggle for citizenship and national reunion, and the advent of racial segregation, Harvard professor Henry Gates delivers a book that is illuminating and timely. Real-life accounts drive the narrative, spanning the half century between the Civil War and Birth of a Nation. Fall in love, break the curse. It once seemed so easy to Prince Rhen, the heir to Emberfall. Cursed by a powerful enchantress to repeat the autumn of his eighteenth year over and over, he knew he could be saved if a girl fell for him. Nothing has ever been easy for Harper. With her father long gone, her mother dying, and her brother barely holding their family together while constantly underestimating her because of her cerebral palsy, she learned to be tough enough to survive. But when she tries to save someone else, she's instead somehow sucked into Rhen's cursed world. Now that high school is over, Ari is dying to move to the big city with his ultra-hip band, if he can just convince his dad to let him quit their struggling family bakery. Though he loved working there as a kid, Ari cannot fathom a life wasting away his days over rising doughs and hot ovens. But in the midst of interviewing candidates for his replacement, Ari meets Hector, an easy-going guy who loves baking as much as Ari wants to escape it. As they become closer over batches of breads, love begins to bloom...that is, if Ari doesn't ruin everything. After surviving an infamous family tragedy, sixteen-year-old Kennedy Jones has made it her mission to keep her brother's search through the cosmos alive. But then something disturbs the frequency on his radio telescope--a pattern registering where no signal should transmit. In a neighboring county, seventeen-year-old Nolan Chandler is determined to find out what really happened to his brother, who disappeared the day after Nolan had an eerie premonition. There hasn't been a single lead for two years, until Nolan picks up an odd signal--a pattern coming from his brother's bedroom. Sera Lighthaven has always felt as if she didn't quite belong among her people, the Cerulean, who live in the City Above the Sky. She is curious about everything--especially the planet that her City is magically tethered to--and can't stop questioning things. Sera has always longed for the day when the tether will finally break and the Cerulean can move to a new planet. But when Sera is chosen as the sacrifice to break the tether, she feels betrayed by everything in which she'd been taught to trust. In order to save her City, Sera must end her own life. A 15-year old girl heads towards the hospital waiting room where the doctors are going to tell her how much time she's got to live. As she walks, she thinks about her journey up to this point . . . the terrible decor in the hospital, wearing a headscarf, the horrible treatments, but also being with her friends, family, and her new boyfriend Victor. This is a story about cancer with a happy ending. It's about life, love, and especially, hope. This is the story of a hardworking little cicada who is completely unappreciated for what he does. He is bullied, overworked, and ignored most of the time. But in the end, just when you think he's given up, he makes a transformation into something ineffably beautiful. This story gives sadness a shape and a face, and encourages the reader to give it a name, all of which helps to demystify it and distinguish it from ourselves. Eland suggests activities to do with sadness, like sitting quietly, drawing, and going outside for a walk. The beauty of this approach is in the respect the book has for the feeling, and the absence of a narrative that encourages the reader to "get over" it or indicates that it's "bad," both of which are anxiety-producing notions. Debut author! A fussy eraser tries to keep the pages clean by erasing the scribbles of a mischievous pencil. But before long, the eraser discovers what can happen when two opposing forces come together to have fun. This is perfect for our annual "Hats Off to Reading Day"! For Mr. Pockles, going without a hat is as unthinkable as going around without any pants on. He has millions of hats, for every occasion--an Eating His Cornflakes hat, a Drinking Cups of Tea hat, and even an In the Bath hat--but for some reason, he doesn't have any friends. One day, when Lady CoCo Fitz-Tulip--a Very Important Panda--finds that her hat has been gobbled up by some hungry bunnies, Mr. Pockles knows just how to help. 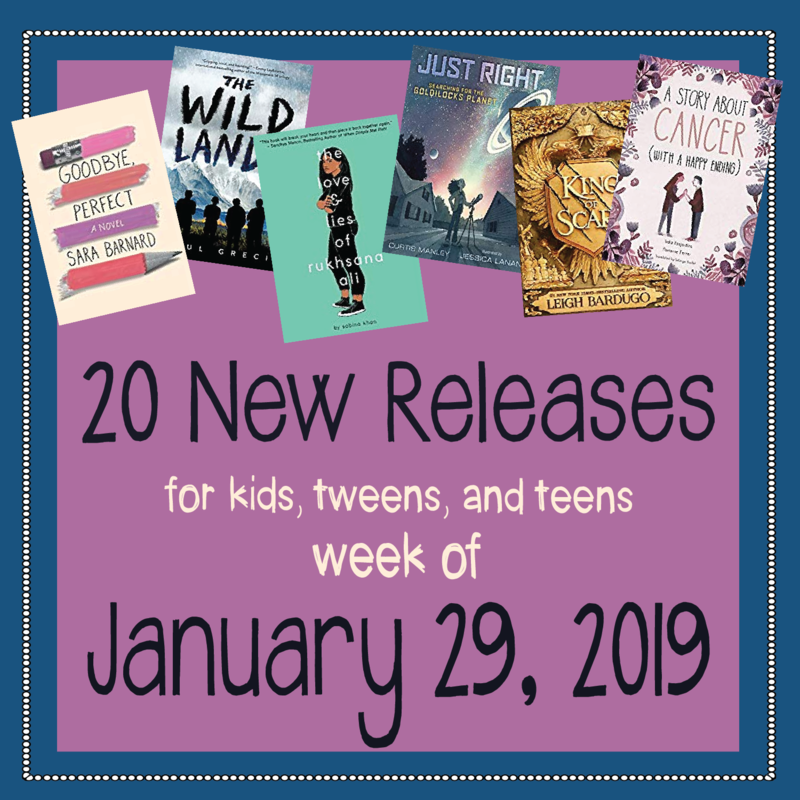 ENTER TO WIN YOUR CHOICE OF NEW RELEASE! The Cerulean and Come Find Me sound like great reads! 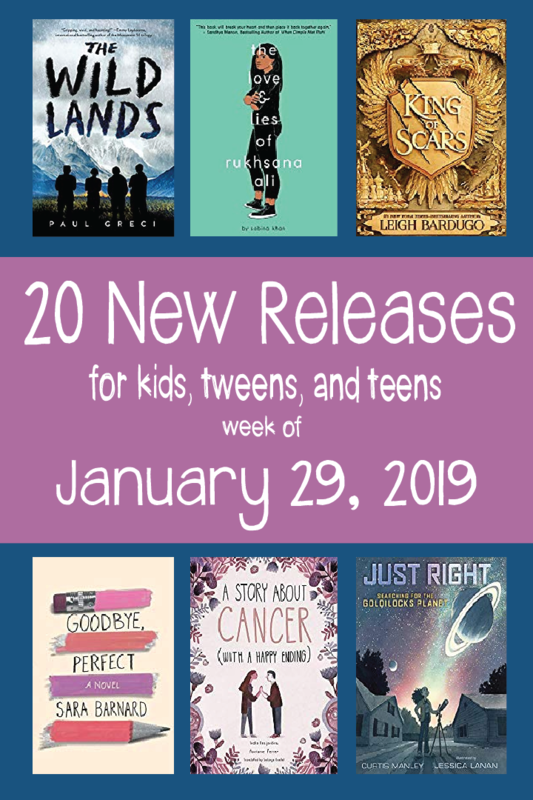 So many great new releases this week! I have started another book order for our library based on your lists. Thank you! Such great books being released soon! Have my list made up! So many great choices for my middle schoolers! Man, this was so good. I always think Giles's thrillers are good but I think this is my fave so far. I just loved the voices, loved the pacing, loved the way he incorporated the dark web, fandom (and standom), and social justice, and also made it a friendship story, not to mention I thought the mystery went to a very cool place. I am such a fan and this was honestly even better than I thought it'd be.